Sorry for the downtime. All of our pups have been adopted but please check back with us for information on our future litters. We should have several females pregnant and expecting, towards end of March. Very good looking and very sweet. Meds always up to date. Photos of parents shown, below, as well. World Class Champion Bloodlines. 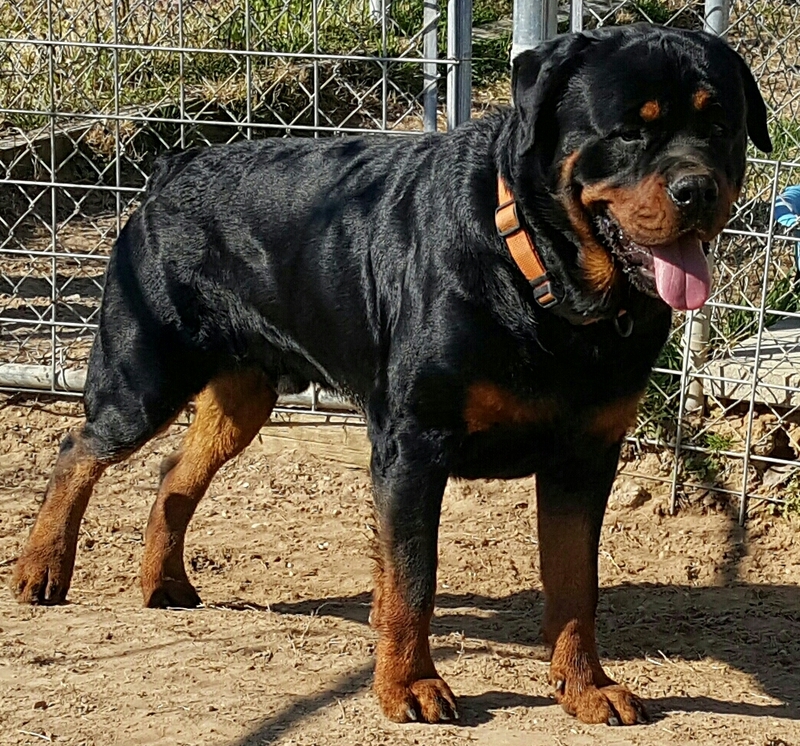 Our sire “Vitor” is a phenomenal dog and truly a gentle giant. Both of his parents are German/European champions. 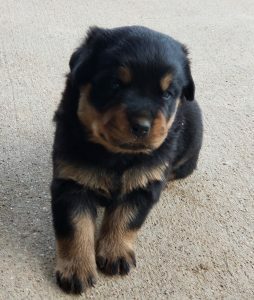 So, the pup’s grandfather is CH “AMOS” and grandmother is CH “BINA”. Our dam, “Kalie” is granddaughter of CH “Max Flash Rouse”. Need to attach her photo. Our pups have great heads, big, heavy bone structure and excellent conformation. 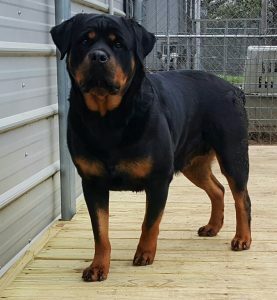 Whether you are wanting for breed/show quality or a great new friend, we can fix you up. 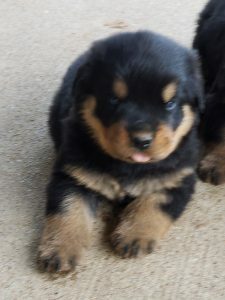 Shown below are photos of just some of our World Class German Rottweiler puppies available. Also shown are parents and champion grandparents.